I haven’t written in a very long time, but I wanted to tell you about a new filtering device we love! We’ve used it for a few months, and I can’t say enough good about it! It’s a small box (about 6-inches) that you plug into your router, and it controls all the devices in your home (iPads, phones, gaming systems, PC, laptop, and it even did our Blueray player!). It takes about 5 minutes to set up, and then you’re all set. The only catch is that you have to download an app to an Apple device so if you don’t have an Apple device, you won’t be able to use it. The app is where you control all the settings for the various devices (the devices do not have to be Apple products though). There are so many great features, and it’s super user-friendly. You can lump all the devices together, or keep them separate, or you can just select a few to control (like all the kids devices). You can control which websites your children can or cannot visit (for example, you can turn off Twitter or Facebook or YouTube for your children, but keep them on for you). You can also set time limits for each device (for example, my son can only spend an hour on the X-box each day, and then it turns off, or I can only spend 2 hours a day on Facebook, and when I hit that limit, I can’t access it anymore). My favorite feature is the bedtime feature. You can choose times that your internet is turned off. And it really turns it off! A screen pops up that says, “It’s past your bedtime!” and you can’t use the internet at all! It forces my husband and I to go to bed at a decent hour! It also keeps my early riser from getting on the X-box before he’s allowed. You can set different bedtimes for different devices, as well, which is great! My other favorite feature is the pause button. I can pause the internet on all devices at the touch of a button. So when the kids are “too busy” to come to dinner, I just threaten to pause their devices! No need for nagging!! 🙂 All it took was one time for them to learn this! It’s a bit pricey at $99, but it’s just a one-time fee. The app itself is included in the price. We ordered it and got it within a few days. They’ve made some changes since we first purchased ours, and we got notified to update our app– no charge! We’ve had this device since March and have loved it!! I really have no issues at all with it. I love how simple it is to use and how much it does. Here’s the link again for your convenience. Take a minute to explore it in more detail. I’d love to hear your experience with this if you’ve used it. Note: I did not receive any compensation for this post (although I wish I had!). We just wanted to share a great device to help you keep your sanity in this tech-heavy world! LDS General Conference is this weekend!! You can scour the internet for activities and booklets and snacks to do with children while watching Conference. I’m taking a different approach this year, inspired by the request of two friends. This is something my dad started in our family years ago, and we have continued in our own home. When my friends heard about it, they asked that I share it in detail on my blog during the next General Conference. I don’t know if it’s anything amazing, but it is different from many you’ll find. So, here it is. For you, Emily. And for you, Natalie. 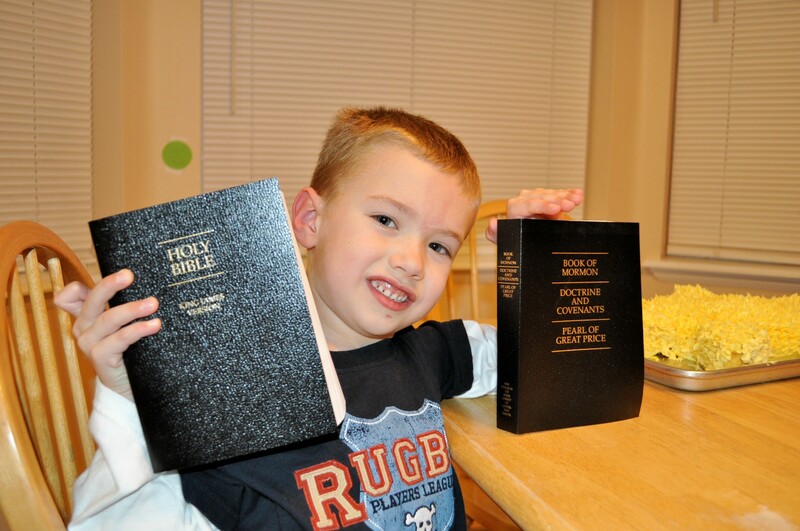 Scenario: You spend the weekend watching General Conference with your family. You have quiet activities to do with your little ones in the hopes that they get at least one thing out of it. And with the plan that you’ll also be able to learn something, too. Then what?! If you’re like many families, you wait for the Ensign Conference edition to come out so you can reflect on the many things you heard the month before, in the meantime moving on with life, hoping to remember the inspiration you received. And a month later? My kids have forgotten Conference even happened! Sound familiar?! Well, my dad wanted his family to remember the promptings we received immediately so he came up with this idea for us; something we can do while the feelings are fresh. My husband and I love it and have carried on the tradition with our children. During Conference, I try to take simple notes for each talk. I’m talking simple. Sometimes they’re one general thought or sentence. (And I’ll confess, sometimes I have to use the Conference summaries posted on-line.) Then, the Monday night following Conference during our family night (or Family Home Evening), we briefly run through the talks as a family. I love when there’s a story or specific talk catered to children so I can focus on that one with them (like this one). We talk about things we learned or liked. Then each person in our family is handed a simple note card and a pen. We then spend the next couple of minutes writing a couple of goals we want to work on the next couple of months (or until the next Conference), based on the things we heard or the whisperings we felt. Now, because my family has been doing this for years, I don’t talk about goals anymore. The first couple of times you do this, you will want to talk about goals, what they are, and what they are not. I also talk about choosing just a few that are obtainable rather than a whole bunch. Everyone participates, regardless of age and writing ability. The teacher in me likes to have my kids, beginning as soon as they can write “words,” write their own. I feel there’s great value in that. And even my youngest at age 2 gets a card and “writes” (or scribbles) on it. After everyone is done, we go around the room and share. This is optional, of course, as sometimes these need to be private. We then choose a place to display our goal card where we will see it often. I always display mine on my bathroom mirror so I can read it and re-read it while getting ready in the morning. My children usually do the same. My husband puts his in his scriptures so he sees it every night when he reads. A goal is no good if you don’t think about it frequently, right?! The other thing we do, now that this is a tradition for us, is before we begin, we gather our cards from last session and re-read them together and evaluate how we did. And my goals. Kind of personal. We have found that this simple activity has brought such an amazing Spirit into our home. It makes General Conference meaningful immediately and helps us apply the teachings to our own lives, our own struggles, our own weaknesses. It makes our children “get something” out of Conference. And I find it’s a constant daily reminder of areas I need to improve. I’d love to hear what you do to make General Conference stick in your homes! A repost from the past, as my little guy is moving from Nursery into Sunbeams at church. We call it a Primary Party and spend an evening celebrating this fabulous transition. 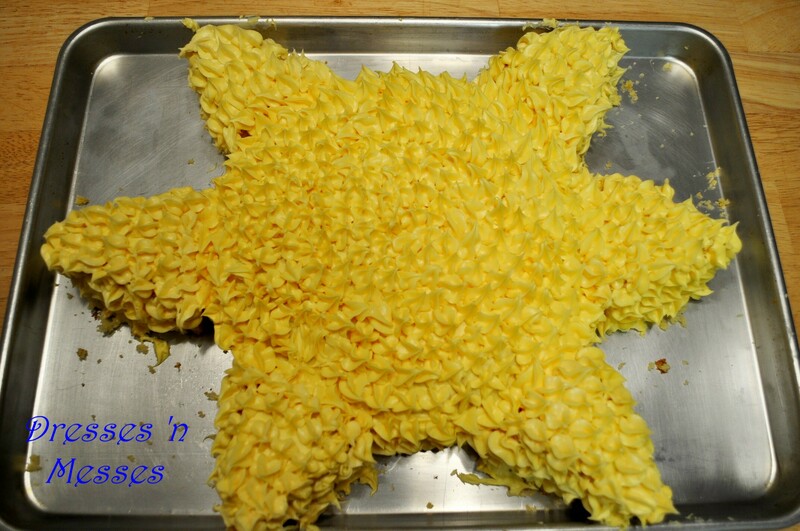 My daughter’s new class is called Sunbeams so I make a Sunbeam cake (or a sunshine). It’s quite the undertaking for this gal, but the kids don’t seem to mind the imperfections. I cooked a yellow cake in 2 round cake pans. I then keep the one round and slice the other one into triangles, like a pie. Those triangles become the rays. 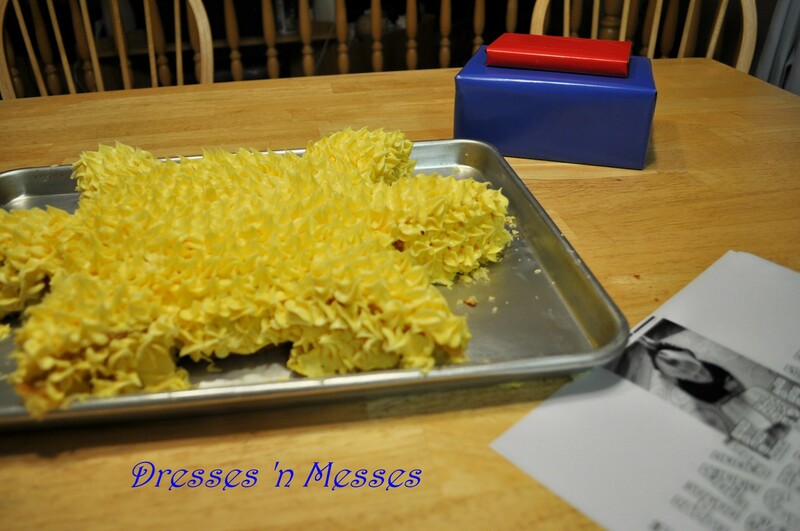 I then decorate it with yellow frosting. I like to use my star-tip decorating tip. It took a good 2 cans of frosting. I probably could have used part of a third. This year, we are learning about the scriptures in our Primary so we thought we’d buy each child a new set of scriptures. We got a small, simple set for our daughter and wrapped them up. This year was unique, as my son is moving from the younger group into the older group so we also decided to get him a new set, as well. They were both so excited! My daughter cannot get enough of hers! 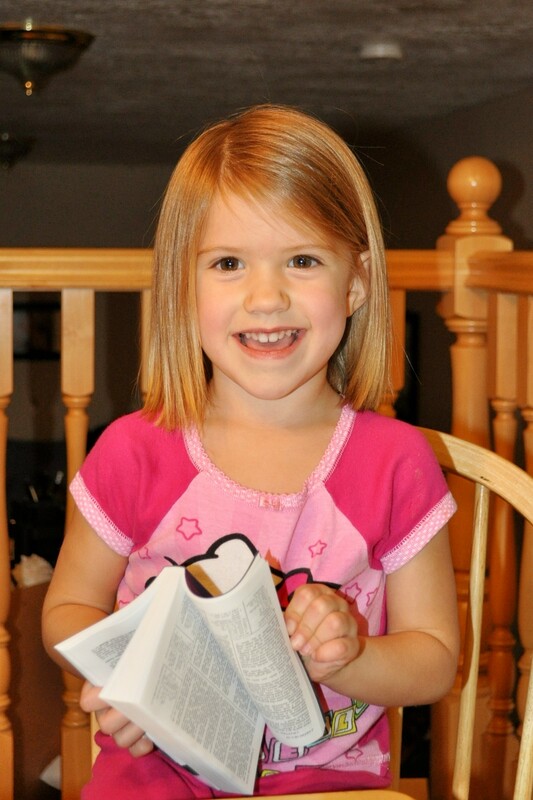 She has scriptures like the rest of the family and is thrilled! Her outfit was not complete on Sunday until she was holding her scriptures (seriously). She spent the whole meeting on Sunday turning the pages. And she begs to read from them every night. It’s adorable to see her excitement! In the past, I shared a story from the Friend about moving into Sunbeams, but I couldn’t find it this year. Instead, we spent some time talking about the new year, what to expect, what they’re going to be learning, etc. The kids spent the next 1/2 hour looking through their scriptures with us. My son got out his marking pencil and marked a couple of his favorite scriptures. It was a memorable night, and their excitement is really catching! This poor little neglected blog. Between my health and everything else on my plate, I just can’t keep it up anymore. As you’ve noticed, posts are few and far in between. I will still continue to post occasionally, but need to take a break for now. Something has to give, and this is it. It’s all about simplifying. Thank you for all the support through the years! I will treasure the friendships I’ve made as a result. We discovered this book earlier this summer when I used it for a summer camp I taught. A great book about staying true to yourself while being kind to others. Violet is the best; everyone agrees. Except Rosie. When the class plants pea plants, Violet knows her plant will be the tallest. One day, Rosie notices Violet’s plant has some green peeking out so she covers it with dirt when no one is looking. She soon finds out that Violet has the chicken pox and makes the choice to be a good friend to Violet by taking care of her plant while she’s gone. 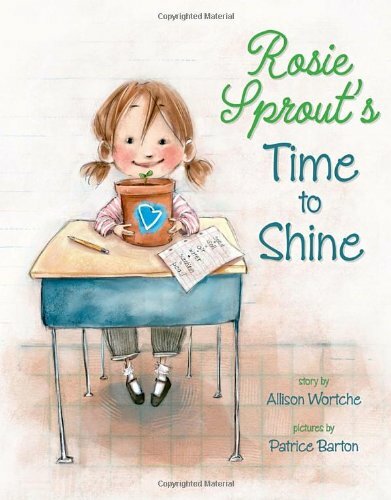 This is a great book to help children learn that they’re special how they are and that everyone can make a difference in this world and have their own time to shine. 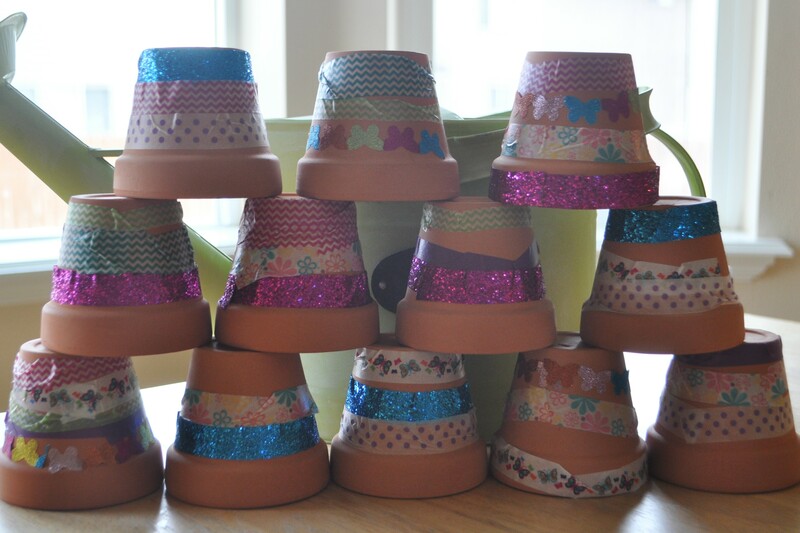 We decorated flower pots and planted our own flower seeds (instead of peas). My daughter is very creative. She is frequently in the kitchen creating masterpieces with art materials or kitchen foods. 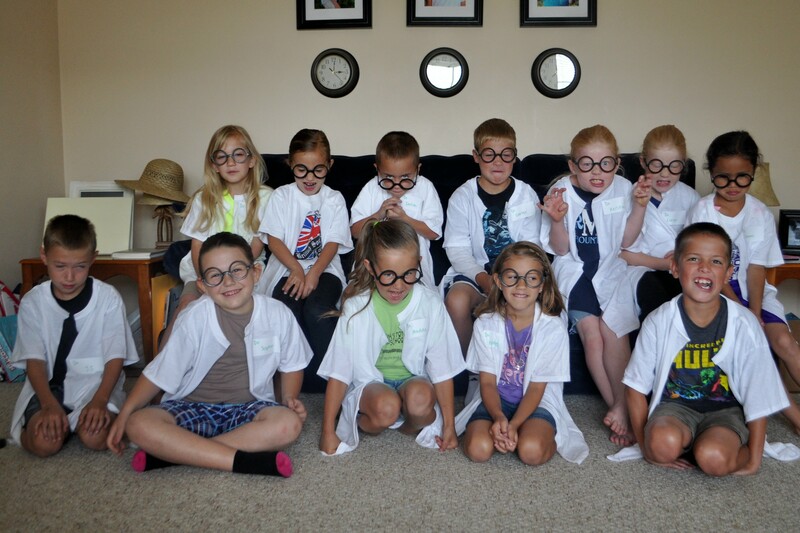 So when she requested a “scientist party” for her friend birthday party this year, I wasn’t surprised. This party was so much fun to plan and to do!! The party itself was very interactive. The trick is to have a plan and to keep the kids moving from one activity to the next with little downtime. (PS I don’t have a ton of pictures because there wasn’t any time to take any. I didn’t even have time to take any beforehand of the set-up. I’ll try to do the activities with my own kids again this summer and snap pictures then.) And please note, I’m a very simple mom. I don’t decorate. I’m frugal. I make it fun, but don’t go overboard! Beforehand: To plan, I pretty much went through my teaching files and scoured the internet and looked up science experiments for kids. We then made a long list of experiments my daughter might want to do. When we got down to finalizing the party, I had her choose the experiments she wanted to do the most and we did most of those. We also selected some we could let the kids take-home. Invitations: I found some cute science clipart online (see below), uploaded it into Word, added words, and printed it off on cardstock. I don’t have a picture of it, but here are the pictures of the clipart my daughter and I chose. I also mentioned in the invite to wear clothes that could get dirty. Set-up: As mentioned previously, planning is crucial for this type of party. I went through every experiment thoroughly the night before, and laid everything for each experiment in groups on my table. I’m a little OCD so I actually laid them all out in the order we would be doing them. I also had my whole outline with experiment procedures/recipes nearby that I referred to often during the party. We did this party outside. I covered the tables with a cheap plastic tablecloth and put down a ground cover. We set up “stations” for each kid (we made a spot for each child coming). I didn’t assign their spots; we let them choose when they arrived. But we put out as many materials as we could at each spot. I also had little take-home trays prepared labeled with their names that they could put their things in as we finished them to take home (more on that later). Be sure to have lots of paper towels on hand and a large garbage can nearby. Party: For this part, I’m just going to list the time-frame, use lots of links/recipes and possibly throw in a couple of pictures, and share any hints. This party should have lasted at least 2 hours. We were fighting for time so we limited it to an hour and 1/2, which means I had to cut some activities. And I have fast transitions… I would highly recommend a second set of hands. It would have been nice to have had a third adult helping, as well. 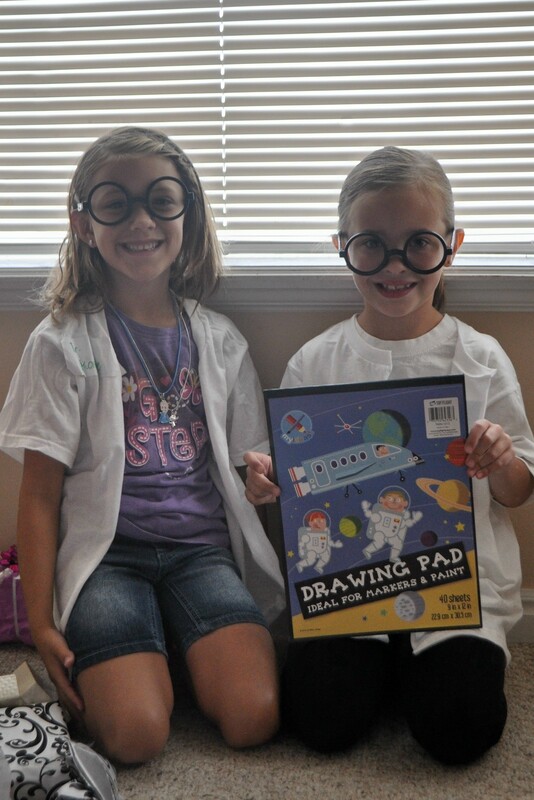 Get dressed in science gear (lab coats, glasses, and notebooks): We decided to have the kids dress as scientists to add to the ambiance (it also protected their normal clothes a bit). The first thing they did when they arrived was put on their scientist clothes. Because these were 6- and 7-year-olds for the most part, I bought cheap large and extra-large boy’s crew neck t-shirts to use as their lab coats. I cut them straight up the middle. I found some Harry Potter type glasses at my party store to use as their nerdy science glasses. And I made a label for each kid: “Dr. (name).” I also provided a cheap notebook and pen for writing down their observations. They thought it was the greatest! So simple. So cheap. The only picture I got! Playing with polka-dot slime. Play with polka dot slime: Slime with pom-poms mixed in. M&M Experiment: Fill a small cup with water. Put a couple of M&Ms in face-up. Let sit for awhile. Eventually the M on each piece of candy will rise to the top. Jelly Beads: These are like small plastic beads. You put some in a cup of water, and let them sit for hours. As they soak up the water, they grow. They’ll be marble size when complete but still jiggly, not hard. We left ours at our spots and watched them grow throughout the party. So exciting!! The kids got to take these home in their cups with lids. The fun thing about these is that when you’re done, you can let the beads dry, and then do it again. The link above will take you to Amazon, where you can order some. If you’re local, we don’t mind sharing some we already have (we ordered a pack of like 4000). Let me know! 1. 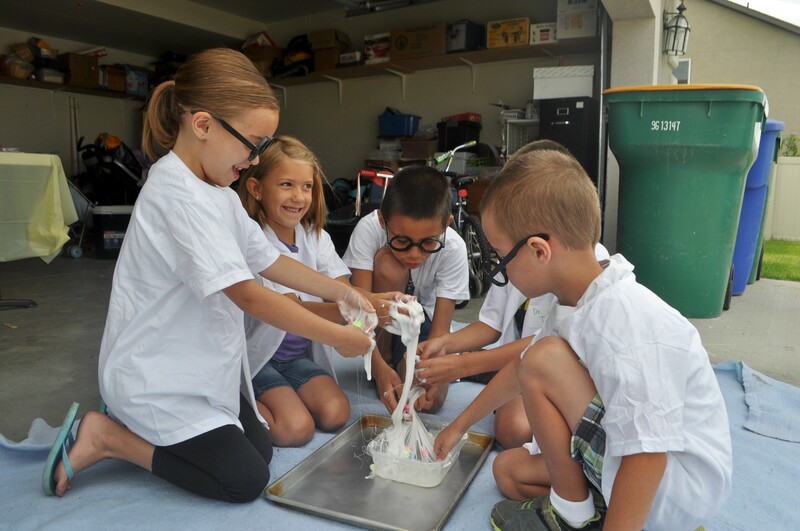 Borax crystals: An activity they prepped and then got to take home to see the full effect. 2. Magic Milk: Pour a small amount of whole milk into a shallow dish. Put drops of food coloring all around the milk. Do not mix or blend. Dip the end of a toothpick in dish soap and gently touch the tip into the food coloring. It naturally swirls! Do it again and again until it starts to turn brown. 3. Rainbow in a jar: Earlier this year, I did this experiment with my son’s 3rd Grade class for St. Patrick’s Day and taught a little lesson on density. My daughter thought it was so cool, she wanted her friends to see. This one I did myself and had the kids help pour the items in. 4. Homemade bouncy balls: This was one okay. Lots of fun and kind of messy. But it turned out to be more like silly putty than bouncy balls. The balls do bounce though, and the kids thought they were cool. 5. Tornado in a jar: Another one the kids watched. This one would be cool for them each to do. 6. Erupting sidewalk paint: So much fun! My kids love sidewalk paint. This time, you mix it a tad differently, let the kids decorate your driveway, then give them squirt bottles with vinegar, and their pictures bubble up. I would recommend mixing the paint with the kids or doing this one near the beginning, otherwise the cornstarch will settle and it won’t work. 7. Lava lamp: We did ours in disposable water bottles. 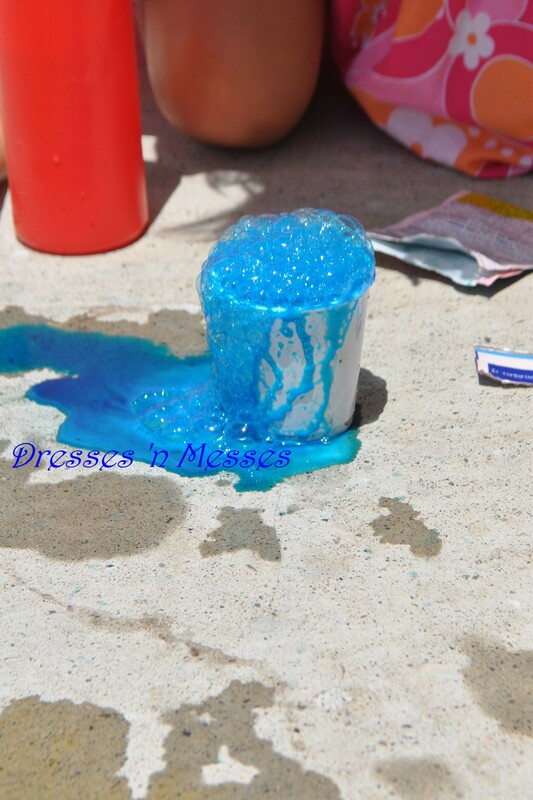 I gave each kid a couple of Alka Seltzer tablets and let them break them in to smaller pieces and experiment. They then got to take these home. Flubber or Gak. I love the bright red! 8. 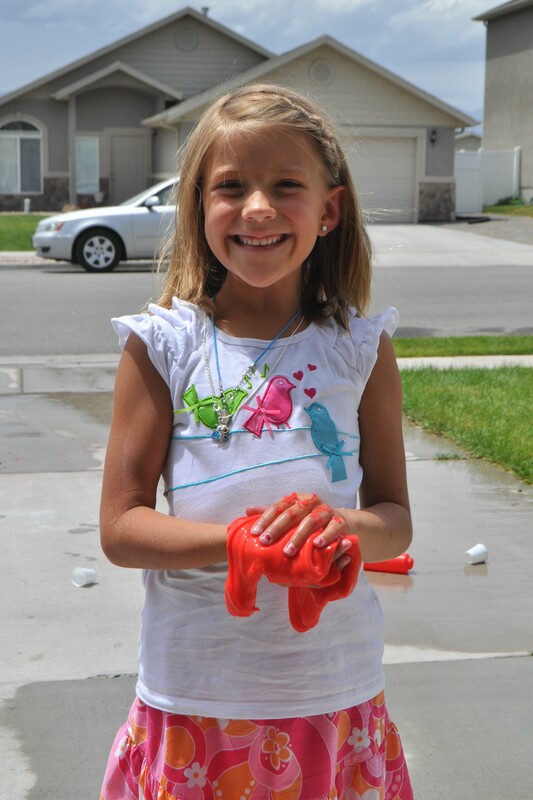 Flubber or Gak: So fun! This makes a lot so you could cut the recipe down or have the kids share. 9. Vinegar Rainbow eruptions: Probably my favorite experiment! We loved it so much we did it over and over after the party was over! Very messy! We put down paper towels for the party. Lots of paper towels. Afterwards, we did it on my driveway. It did stain the driveway, but it washed off in the rain. 11:10-11:20 Cake: She requested cupcakes. I didn’t do anything fancy, like test tubes or anything because she doesn’t know what those are. 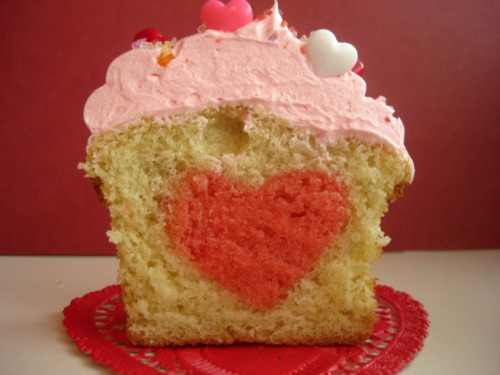 Just cupcakes. Ice cream in a bag. The kids ate theirs from their bags, no bowls needed. Take Home Favors: The fabulous thing about this party is that you don’t need too much extra. They took home their jelly beads, their flubber/gak, their crystals, their bouncy ball, their lava lamps, their ice cream in a bag, and their science gear. We also provided each child with a small container of Oobleck and a small bag of candy. I bought some cheap trays at the Dollar Store and labeled each with their names that they put their stuff in throughout the party. I bought gift boxes because it was 12 for a dollar, and that’s all I needed. They were floppy, but good enough for the car ride home. You could buy those disposable tin dinner trays, as well, which would be more sturdy. When parents came, they just had to pick up their tray with everything on it and go. Honestly, this party was busy, high energy, and very interactive, but it was so much fun! I would do it again in a heartbeat. For more birthday ideas, go here. I’m hoping to get some others we’ve done up soon! 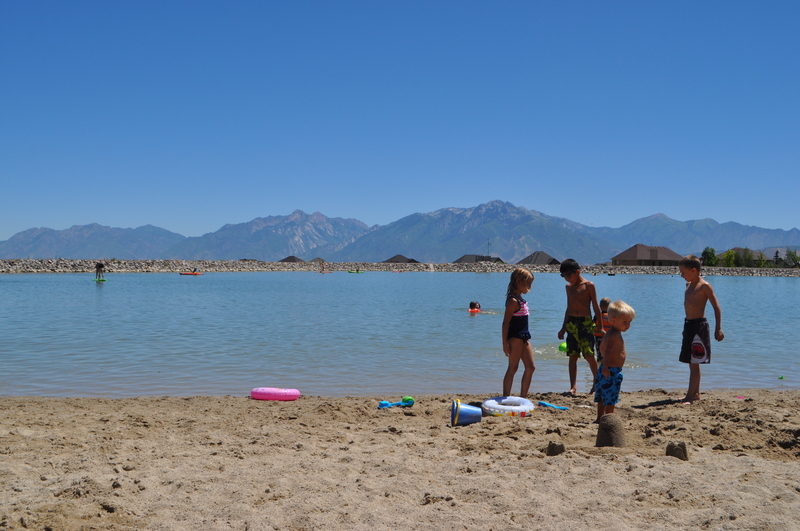 Did you know there are beaches in landlocked Utah?! There are a couple I’ve learned about through the years. We’ve been to a couple and have some on our list to try. 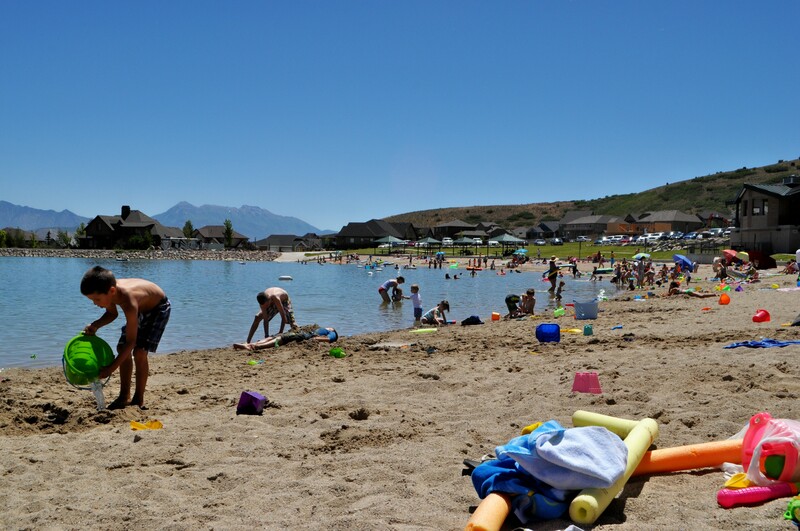 Last week, my neighbor told me about a beach in Herriman that I wasn’t aware of. Well, of course, we had to check it out! It’s called the Blackridge Reservoir and is open to the community (it’s FREE!). It only took us about 15 minutes to get there. Score! I was surprised that yes, it’s a real beach (I don’t know what I was expecting). It’s a man-made reservoir with sand on one side and rocks on the other. It’s a decent size and so pretty with the mountains in the background. You won’t find fine sand or sea shells like you find in California or Florida, but it’s still a sandy beach for the kids to play on! They thought it was the greatest! We unloaded everything by the curb, then I went to park while they took everything down near the water, which was a short walk. There was plenty of room to spread our stuff out, and the kids immediately got in the water and started building sand castles shortly after. The water was shallow near the sand (great for toddlers or those who can’t swim). There was a nice playground (no picture–sorry), although the slides were pretty hot for my little one. It was nice for the kids to be able to run back and forth while staying in my view. They have clean bathrooms with running water and they are close. There are no lifeguards on duty (not that I expected there to be) so you’ll need to keep an eye on your kids. Get there early (I think it opens at 7:30). We got there mid-morning; it was busy but not crazy. After lunch it was really busy; kids all over; and it would have been hard to find parking. Bring beach toys: water and sand. Be sure to label everything with your name because everyone has the same things! People had rafts for floating on the lake and kayaks. Bring an umbrella or something for shade. There are a couple of pavilions, but it’s more fun to be on the beach than sitting on a bench. Of course, bring lots of water and snacks, and expect to stay all afternoon! I would also recommend bringing a second adult, if possible. We went with friends. It was nice to be able to take a bathroom break with one child and not have to worry about the others drowning while I was gone, or having to drag all the kids to the bathroom. It was also nice because I was able to drop them all off at the beach and go find parking (no dragging kids and gear through the parking lot!). We spent a couple of hours there, just enjoying being “at the beach.” My kids loved telling everyone they met that day that they had gone to the beach! We will definitely be going back! There’s one in Spanish Fork that’s been on my list to try out for a couple of years. There’s one in Pleasant Grove that my friends gave a great review on. We’ve been here. Fun! And my mom just told me they are building one in Springville near Hobble Creek Canyon. Yay for beaches in Utah! Isn’t this so fun?! Every year, my sister-in-law invites us over for a 4th of July breakfast. 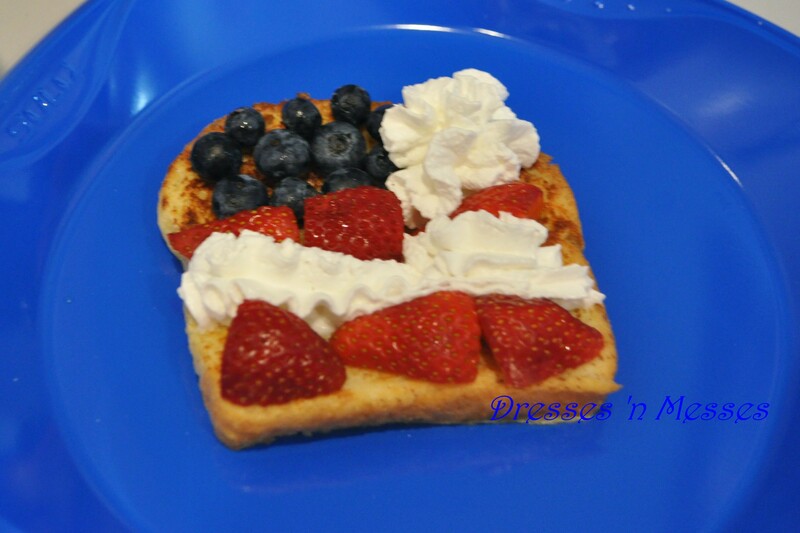 Last year, she had all the fixings to make these cute flag french toasts. Of course, you could just pile everything on top and it would still be pretty, but I loved the flag idea. So simple. So fun! And so yummy! Just wanted you to know my Summer Bucket List is up again! Need an idea for something fun to do with your kids this summer? There are ideas for crafts, treats, field trips, and links to other great sites. Be sure to check it out!! I’ll be updating it through the next couple of weeks, so be sure to check back! What are you doing fun this summer? !